1.1.1 What Is The Best Shaft For Me? 1.1.3 What Is The Best Loft For Me? 1.1.4 Should I Get A Professional Fitting? Ready to start pounding your drives down the fairway? I’ve tested a few of the best golf drivers for mid handicappers on the market and wrote up what I found. Although golf can be a “relaxing pastime,” it can (all to often) also be frustrating. Try missing a bunch of fairways. Try losing a few balls OB. Maybe it’s time to upgrade your driver. I’m not a proponent of “buying a better golf game,” but sometimes looking at a shiny new club can inspire new confidence. FACT–> The drivers of today or longer and more forgiving than ever. Our Swings Change Over Time & It’s Well Established That Getting Clubs That Fit You WILL Help Your Scores. Everyone has their favorite brands. I was a Callaway guy forever and a day. But the fact is, it’s the Taylormade 460 that allowed me to put a driver back in my bag about 12 years ago after being unable to hit a driver for about 5 years. All top manufacturers are producing better drivers than ever before. When you’re choosing your best golf driver, everyone knows about clubhead loft and shaft flex. What about kick point, or shaft length, or grip size, or…? You get the picture. There’s a lot of variables. And, they aren’t exactly giving away drivers these days. You might also wonder whether a professional fitting is necessary. I’ll cover that in this section too. Maxed out what your current driver can do? Ready to explore the best of the driving world? What Is The Best Shaft For Me? The shaft is responsible for transferring the power from your swing through the clubhead and into your ball. You will hit your drives powerfully and with better distance and trajectory when you marry up the proper shaft flex with your swing characteristics. Generally speaking, softer flex shafts go with slower speed swings. Softer flex means more flex and gives you the “potential” for more distance. Generally speaking, stiffer flex shafts go with faster speed swings. Stiffer flex means less flex and gives you the “potential” for more control at the cost of “some” distance. Mid handicappers often have a wide range of swing speeds. The faster you swing, the stiffer your shaft may need to be. But not in all cases. That will depend on the fitter and their theory of club fitting. Swing your driver over 105 mph? You can probably start thinking about an X-stiff shaft. Swing your driver in the 90 – 100 mph range? A stock stiff shaft will likely work fine for you. Swing your driver 80 – 90 mph? A regular shaft is likely your best bet. Swing your driver < 80 mph? A Senior flex shaft should do the trick. What Is The Best Loft For Me? Even the best players in the world are using higher lofts these days. 7-degree and 8-degree drivers were the norms on tour not too long ago. Your swing speed partially determines the loft you need. Faster swings generally get the ball airborne easier, so “may” require less loft than those of us with slower swing speeds. Also, more loft equals more forgiveness because sidespin is reduced and backspin is enhanced. For example, a reasonably skilled driver with fast clubhead speed may choose a driver with a loft of 9 to 10.5 degrees to add in the forgiveness factor. Those of us with swing speeds under the century mark may look into the higher loft ranges. Luckily for us, most drivers today have adjustable lofts. You can even adjust your loft after you buy your club. Should I Get A Professional Fitting? Is a fitting by a professional fitter absolutely necessary? No. Will getting fit for your driver help you play better? Yes. So, the choice is ultimately up to you. What’s your priority? The average new driver costs $400 or more. Getting fit by a qualified fitter will cost in the neighborhood of $100. I tend to keep my driver for a long time, so I figure I may as well get fitted for it. Not a very hard call for me. Forgiveness: I ended up with more playable shots on my poorer swings while not losing nearly as much distance. Distance: As long or longer than whatever you are playing most likely. I call it “easy” distance. You don’t have to muscle it. Just swing normal and hit it near the sweet spot. Thank you, Hammerhead! Technology: TaylorMade has investigated the average golf swing for years instead of taking data from robots. The company determined that if golfers aren’t hitting in the middle of the clubface, they’re hitting high in the toe or low in the heel. The company has twisted the curvature of the clubface to reflect this and call it twist face technology. You can also adjust the driver face and head to change the loft, lie angle and face angle. The Y-angle split-weight system adjusts to optimize the flight of the ball and provide maximum forgiveness. Definite upgrade over the M1 and M2. 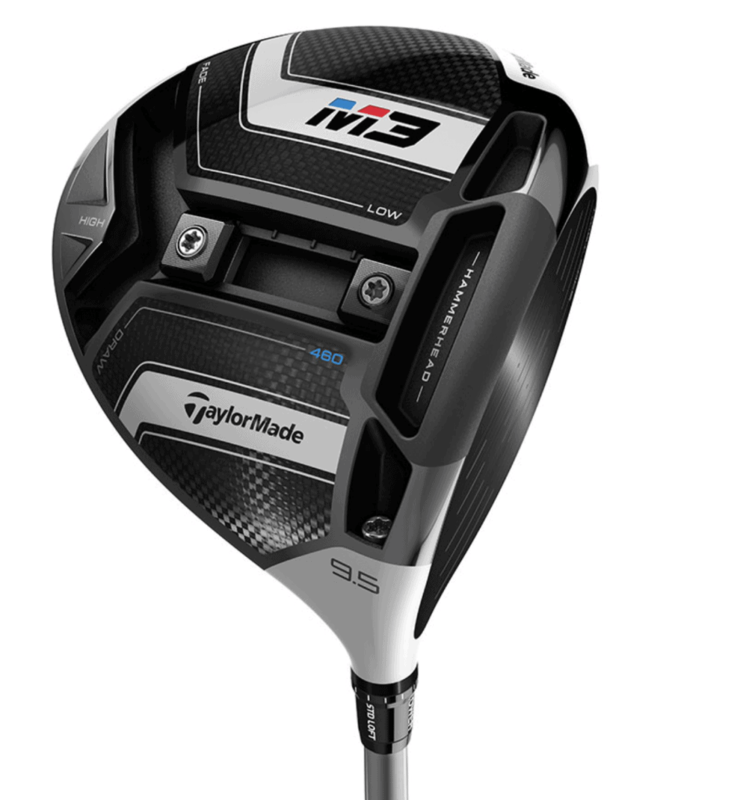 Read my full Taylormade M3 Driver review here. Looks: Beautiful black carbon crown with aqua accents. Very modern design with a classic feel. Feel: Supremely solid at impact as the ball rockets off the face. Not an ounce of harshness in site. Forgiveness: You don’t have to hit center mass to get good distance and find the short grass. Not a penalizing club. Shaping: I detected no natural bias. I hit mostly fades, but I was able to hit draws on occasion. Technology: The Callaway Rogue features jailbreak bars that offer rigidity for better power transfer. These bars give the driver body stiffness, preventing it from deforming at impact. Now, the jailbreak bars are lighter in weight than their predecessors, though. This allowed Callaway to move the weight to other areas of the head for better performance. Callaway also worked with Boeing to develop “Speed Step” technology to improve aerodynamics. Read my full Callaway Rogue Driver Review here. Looks: Exactly the same as the M3. Feel: Very solid at impact and no different than the M3 (as far as I could tell). Very springy and lively face too. Forgiveness: As much forgiveness as the M3 and all I could ask for. Shaping: Might be a touch easier than the M3 due to the smaller clubhead. I stuck with what was working for me, the fade. Distance: Easy length, just like the M3. A very powerful club. Technology: All the same breakthrough tech as the M3, minus 20 cubic centimeters. Key Differences from the M3: The M3 comes in loft options of 8.5, 9.5, 10.5 and 12 degrees. The M3 440 only lets you choose between 9 and 10 degrees. Therefore, it might be better suited to more advanced players who don’t need the higher loft options. The smaller-headed option typically produces less spin, which might be ideal if you tend to be a high-spin player. It will also deliver slightly less loft at the same settings as the M3. Click to read my full M3 440 review! Feel: Solid feel at impact with a distinct springy feel as the ball launches off the face. Forgiveness: All the forgiveness I deserved. Marginal swings weren’t punished like I deserved. Distance: Great easy distance. Has the Hammerhead technology for the assist. 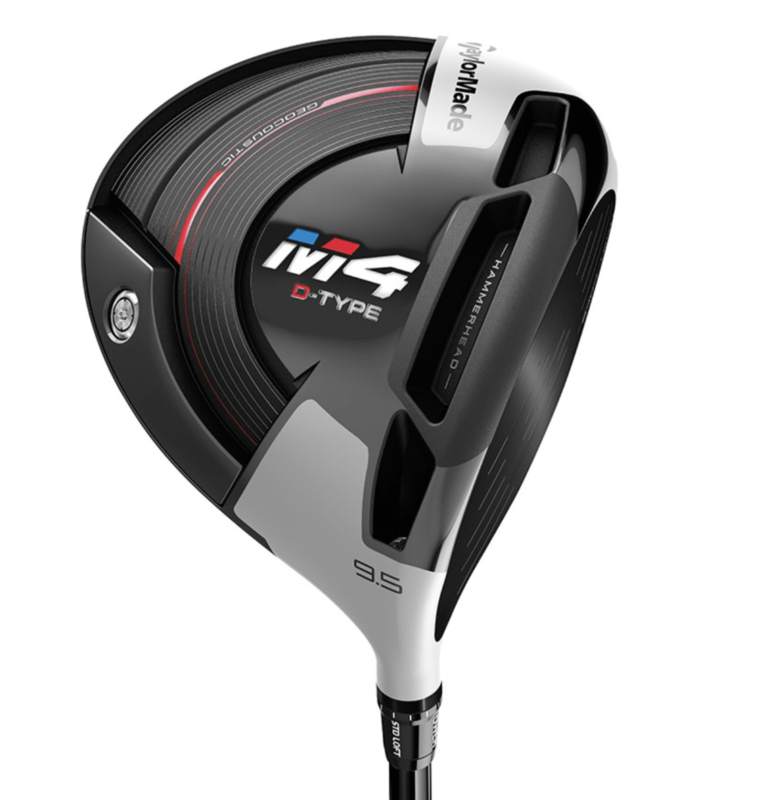 Technology: Twist face technology is used in all new Taylormade drivers and the M4 is no exception. The Hammerhead innovation is there too. The hammerhead slot in the sole should increase ball speed. 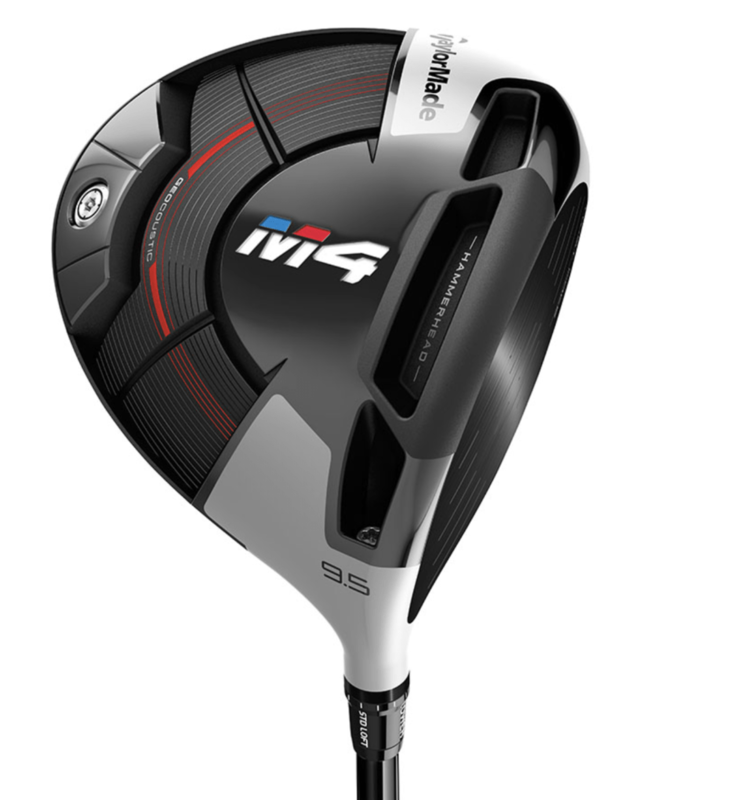 Compared to this driver’s earlier version, the M2, the hammerhead slot is stiffer and longer. Although the weight in the back of the sole is not adjustable as it is in the M3 drivers, it has been increased from 22 grams in the M2 to 41 grams in the M4. That did wonders for improving the club’s forgiveness. One of the standout features of this club is the head’s geoacoustic design. Many clubs with a low center of gravity also have flat soles and low frequencies. The geoacoustic design remedies this, leading to a more satisfying sound and feel when you hit the ball. 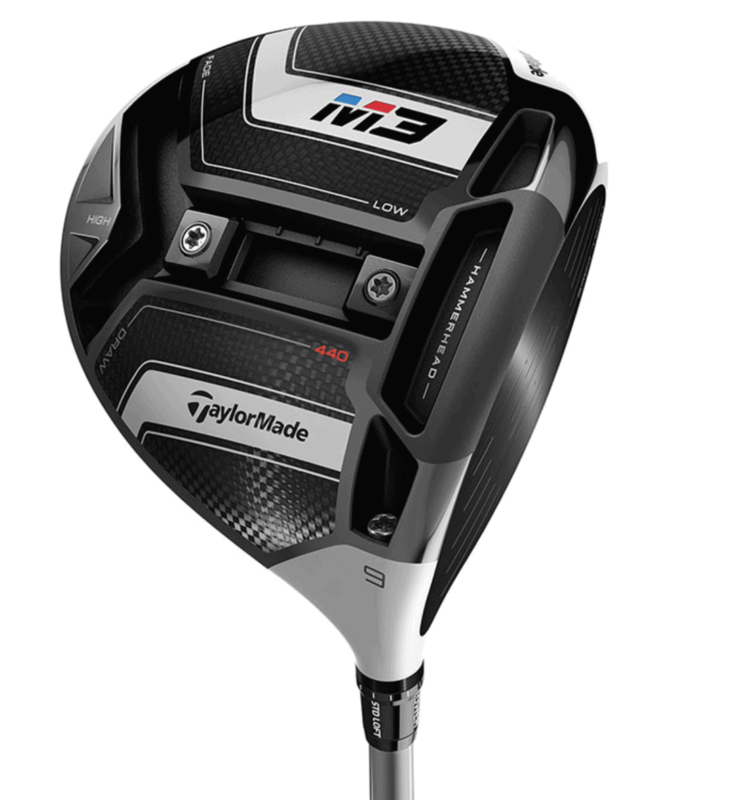 The TaylorMade M4 comes in four right-handed loft options: 8.5, 9.5, 10.5 and 12. Shaping: You can hit whatever shape you normally hit. Distance: Rewards you a little more if your swing speed is at least in the triple digits. Technology: Like the Callaway Rogue, the Sub Zero features jailbreak technology and X-face VFT technology. This helps the ball move farther at a faster rate. The triaxial carbon crown offers the largest carbon composite surface area ever created in a Sub Zero model. The weight is redistributed to increase MOI, and the center of gravity is aligned with a neutral axis to reduce spin. You can add, remove or move the interchangeable weights to fine-tune launch angle and spin rate. With the 14-gram weight in front, your ball will end up with less spin. When it’s in back, you get increased MOI and higher launch. Players that strike the ball well but deals with high-spin should be able to take advantage of the low-spin driver technology in the Sub-zero. If you want to add spin, move the weight to the back. You still may find that the ball spins less than with other clubs, although you’ll get plenty of distance and carry. The weight also affects the level of forgiveness. You get plenty of wiggle room with the heavier weight in the back, but as you move it to the front, you need to up your game. I would recommend only moving the weight to the front if you have a fast, consistent swing. The Rogue Sub Zero is quieter than the Rogue, but it delivers a satisfying crack when you hit the ball accurately. As with the Rogue, Callaway worked with Boeing to improve its leading-edge technology for better aerodynamics. Large, 460 cc footprint is forgiving. Looks: Frames the ball well at address. Features distinct visual cues to encourage a square face at address and a draw-biased face when you strike the ball. The two-tone crown provides a contrast that makes the face angle look more open than it is. It’s a subtle optical illusion that produces a more closed face at impact. Feel: New geoacoustic engineering improves sound and feel. Distance: Mauler, with the help of Hammerhead technology and significant weight being moved lower and to the rear of the head for big MOI boost. Technology: Twist face and the 3-chamber hammerhead slots in the sole increase ball speed. 41 grams of weight moved to the rear of the clubhead in the M4 for added forgiveness and a significant MOI boost. Standout feature- Geoacoustic design. Many clubs with a low center of gravity also have flat soles and low frequencies. The geoacoustic design remedies this, leading to a more satisfying sound and feel when you hit the ball. If you’ve tried working on your swing but can’t seem to reduce your slice, you might want to stop trying so hard and use this club instead. The draw bias is definitely perceptible, but it’s not overpowering. For a mid-handicap golfer who tends to have the same shortcomings as the average golfer, one of the TaylorMade options might be the best driver to improve your handicap. As you work on improving your swing, the club mediates any inconsistencies. The larger volume also provides a bigger clubface for more forgiveness. If you have specific needs, like drawing in your slice, you might want to look at the TaylorMade D-Type or the Callaway Sub Zero. At the end of the day, any of the drivers I’ve reviewed here could be considered the best golf drivers for mid handicappers. It will all come down to preference and testing.